Get up and running quickly with an online document management software that lets you work from anywhere there’s an internet connection, and requires no tech expertise. Create, access, and share with incredible ease. Responsive design, and dynamic visibility equal a powerful paperless experience. EASE OF USE | With a simple, user-friendly interface, you can eliminate the learning curve and get to work quickly. Create form fields, annotations, and text boxes within the document previewer. Find specific phrases in a subset of documents faster than ever before. SECURE CLOUD MANAGEMENT | eFileCabinet Online Provides the Cloud solution, with subscription pricing, equivalent of the on-premise eFileCabinet Desktop solution. ROLE-BASED PERMISSIONS | Standard users can now be given permission to create/edit other users as well as set up and edit files within eFileCabinet Online. COMPLIANCE TOOLS | With more mobile access requirements, it becomes more critical to have simple features that help meet regulatory needs. MAC OS COMPATIBILITY | Print and scan directly to eFileCabinet from your Apple computer. No plug-ins needed—work with ease from any popular browser. FREE MOBILE APPS | eFileCabinet Online can be accessed by mobile apps for the smartphone and tablet user. Take pictures of documents and upload them instantly. SecureDrawer is Built-in to eFileCabinet Online. Our award-winning web portal, SecureDrawer, now offers fewer clicks to secure file sharing: It’s the reason you’ll never have to send an email attachment again. Experience the power and speed of eFileCabinet Online’s folder and file organization applied to the new SecureDrawer API and interface. The clarity of simple guest user set up, the power of drawer organization, the responsiveness of a Quick Access panel, and the ease of metadata-enhanced document retrieval—all with bank-grade, 256-bit Advanced Encryption Standard (AES) security. SecureDrawer also provides custom branding and URL, drawing more customers to your website and demonstrating your commitment to customer and client security. 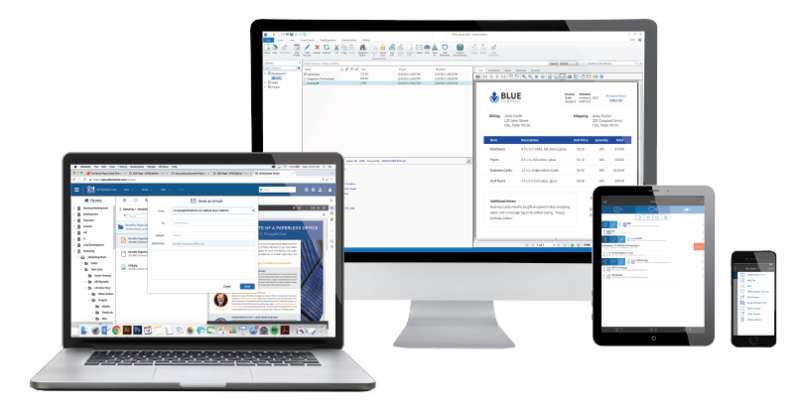 This instant access tool serves as the bridge between your work devices and eFileCabinet DMS, eliminating the need to toggle back and forth between programs you use every day. It also provides rapid file uploading (up to 50+ files at a time)—automating a process that would otherwise take much longer. Zonal OCR is the equivalent of a virtual office assistant, and is perfect for managing often used or scanned forms: Once a document is scanned, Zonal OCR automatically routes it where it needs to go within eFileCabinet. In addition to helping users store and classify documents accordingly, it also lets users view specific portions of documents for faster document search and retrieval. A look and feel for better performance. Hover-over quick access functions and in-line editing with easy-to-recognize icon interfaces. Bringing files into eFC couldn’t be any easier! Want to securely put your entire office in your pocket without wasting valuable storage space on your mobile device? Don’t feel like carrying an entire filing cabinet with you to a meeting with a client? 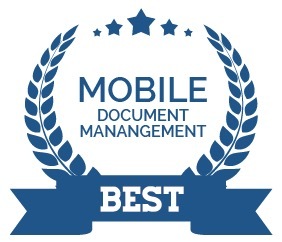 Then eFileCabinet’s mobile document management software apps are what you need. Our eFileCabinet Online and SecureDrawer mobile apps for iOS and Android are free perks to being an eFileCabinet user. Couple accessibility and security through SecureDrawer for your mobile phone. With fewer swipes to secure file sharing, no guest user setup, simple drawer organization, and a new quick access panel, this powerful tool makes for an even simpler file sharing experience.